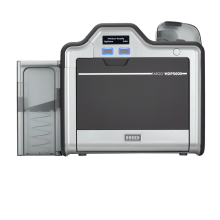 The Fargo HDP5600 single-side ID card printer prints high definition single-sided ID cards by re-transfer printing. 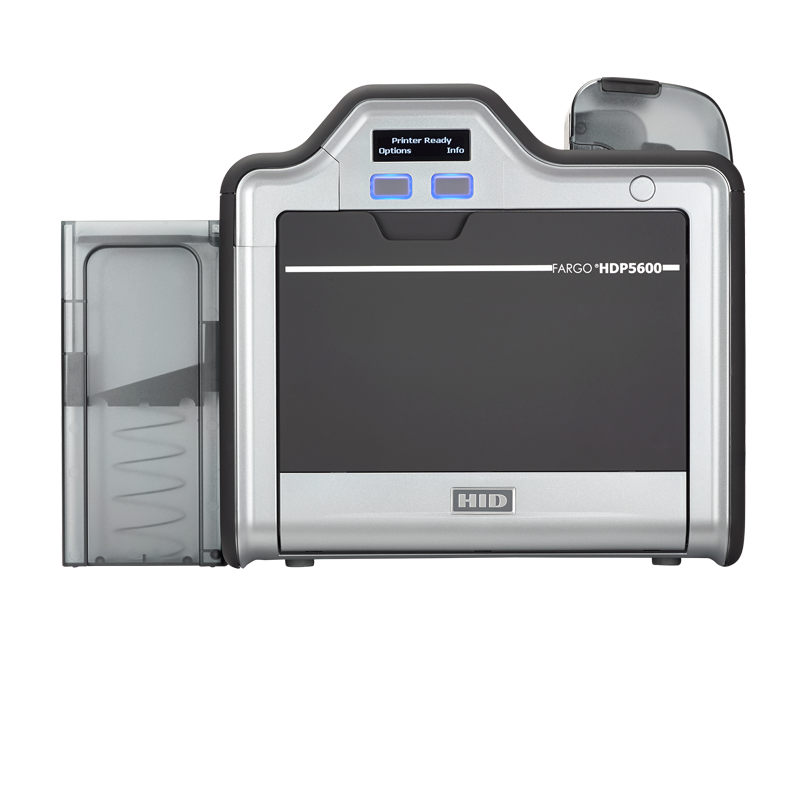 For badges with multiple uses, such as identification and access control, the Fargo HDP5600 single-sided printer will provide secure, durable ID card printing in with high level security features. The HDP5600 produces fresh looking ID cards by first printing the card image on an HDP film. The film is fused to the PVC card by both heat and pressure. This process results in the highest quality images possible with desktop ID card printers. Additionally, this process will increase card life-spans and is more secure, as counterfeiting is difficult. Also, the printhead never comes in contact with the cards, ensuring that it is never damaged in the printing process. Optional add-on modules and features, including field-upgrades, include: upgrading from a single-side to a dual-side printer, adding a mag-stripe encoder, or adding on a single- or dual-side card laminator. LCD panels, built in ethernet capability and easy-load ribbons are all combined in the Fargp HDP5600 to make it one of the most desirable printers on the market. Capabilities: single side printing; color & monochrome printing. 3-year manufacturer's warranty, including 1st-year hot-swap loaner coverage. Lifetime printhead warranty. See www.hidglobal.com for coverage details.